Join us at our final mini-workshop before our Summer glassblowing break. 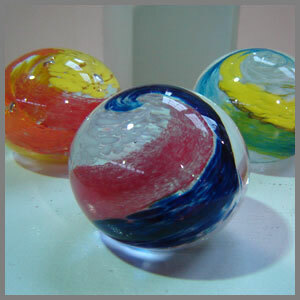 Have a blast in the studio making colorful, swirled paperweights... perfect for Father's Day gifts! You'll experience the art of forming solid molten glass into objects of art. Must register online to attend.